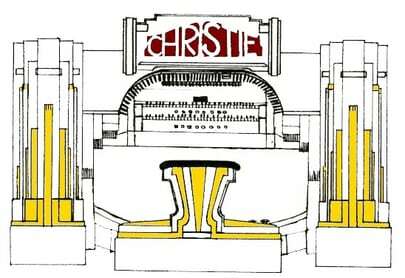 Welcome to the online home of the Harworth Christie Organ Enthusiasts. Here you will be able to find information about the history and aims of the society, find out about upcoming events, read the societies bi-monthly magazine and much more. If you are a Google Calendar user you can now add events from our Calendar to your personal calendar. To do this simply click on the event you are interested in, this will expand the entry. At the bottom of the entry is a link to 'copy to my calendar', click this and the event will open in Google Calendar and you will be able to save it to your calendar. Copies of early versions of Golden Notes have been added to the Golden Notes archive. These date back to the early days of the society, allowing you to see how things have changed in the last 40+ years. Also on the archive page a copy of the Opening Programme for the very first Christie concert at Harworth. Please note these have been reproduced as closely as possible to the original, bearing in mind they were produced on a typewriter and on different size paper to that used today.